The gentle pace of life within the resort will help you relax and focus on the extensive spa/wellness treatments – anything from a simple Swedish massage to an Indian head massage. Complete wellness packages offer you revitalising health-through-harmony solutions. Using organic produce where possible our professional fitness team can carefully assess your health, fitness and lifestyle to provide personal programmes and treatments. Let the warm melted sweet fragrant oil take over your body. Great for an extra relaxation taking you to the moon. A recommended heat therapy used for rehabilitation for back pain and stress relief, increasing blood flow as well as working on stiff muscles and injuries to the deep tissue of the skin. A therapy with a mixture of highly concentrated plant oils added to a massage oil to naturally enhance the benefits of a massage. 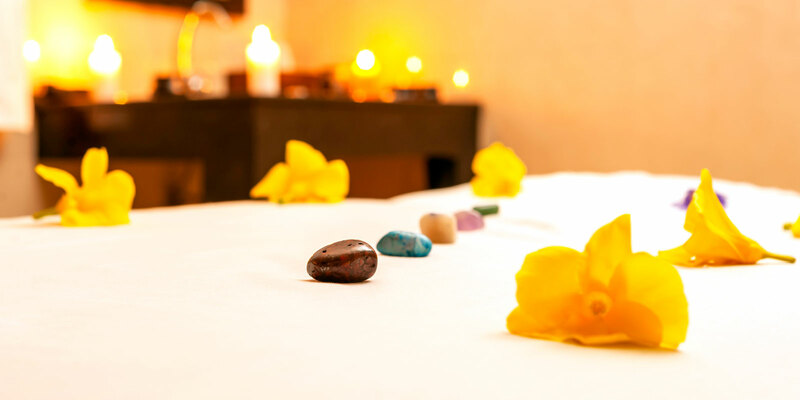 Nothing says love like the gift of relaxation with a couples massage. Recommended for lovers and friends.